While each guide does each tour differently, there are standard sites that are generally always included in a tour covering the main sites in Berlin. The itinerary can always be changed based on your own preferences, so please always discuss these things prior to your tour with your guide. The order in which the sites are shown are also always different based on the starting point which you have agreed upon with your guide. 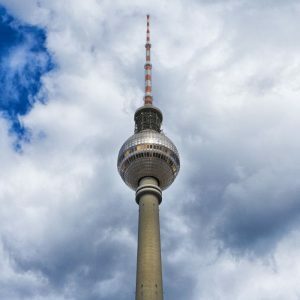 A highlights tour will cover all of the most important things to see in Berlin and provide commentary not only about those things, but also about Berlin’s general history. This spans from Berlin’s early history as a swampy village, to the slow but steady rise of the Hohenzollern royal family, to the ascension of Prussia as a European power, to the anything-goes atmosphere of the Weimar Republic, to the Nazi regime, to the years of division during the Cold War, and finally to the post- reunification transformation of Berlin. Museum Island – UNESCO World Heritage Site with five world-class museums, as well as the Berlin Cathedral and the Hohenzollern city palace, which is currently being rebuilt. Unter den Linden – Berlin’s main boulevard, lined with leafy linden trees, which connects Museum Island to the Brandenburg Gate. Used by the royal family to access their original summer palace, located then outside of the city, and then later by the Nazis for parades in the 1930s. Bebelplatz – Originally known as Frederick’s Forum, after Frederick the Great, it is home to the Humboldt University, the State Opera House, the Royal Library, and the Hedwig’s Cathedral, a Catholic church. It was also infamously the site of the Nazi book burnings on May 10, 1933. Gendarmenmarkt – Generally considered to be the most beautiful square in the city, it is home to the French and German Churches, the Concert Hall, as well as many upscale hotels and restaurants. Checkpoint Charlie – The Allied Checkpoint manned by the Americans and the Russians during the Cold War, and the spot where Western tourists could have crossed into East Berlin. Berlin Wall – One of the last few large remaining pieces of the Berlin Wall, located coincidentally where the former SS and Gestapo headquarters of Nazi Germany were situated. Potsdamer Platz – One of the busiest traffic intersections in Europe in the 1920s, but destroyed almost entirely during WWII, and then completely rebuilt as Berlin’s most modern neighborhood in the 1990s and early 2000s. Site of Hitler’s Bunker – Now a parking lot with just a simple sign, it was once the location of where Hitler spent his final days, married Eva Braun, and then committed suicide in the last days of WWII in Europe. Memorial to the Murdered Jews of Europe – Commonly known as the Holocaust Memorial, this massive site covered with stone stelae is Germany’s central monument dedicated to the Jewish victims of the Holocaust. Brandenburg Gate – Berlin’s most famous monument, one of 18 city gates which surrounded the city and was used exclusively by the Hohenzollern royal family. It survived WWII with lots of cuts and bruises, and then was trapped in the middle of the Berlin Wall for almost 30 years. Today is stands as a symbol of the reunited Germany. Reichstag – The German Parliament building, and primarily known due to the fire that was likely started by the Nazis which enabled Hitler to take total control after being appointed Chancellor. It was fought over during the Battle of Berlin between the Germans and the Russians, and is now topped with a glass dome designed by the British architect Sir Norman Foster.